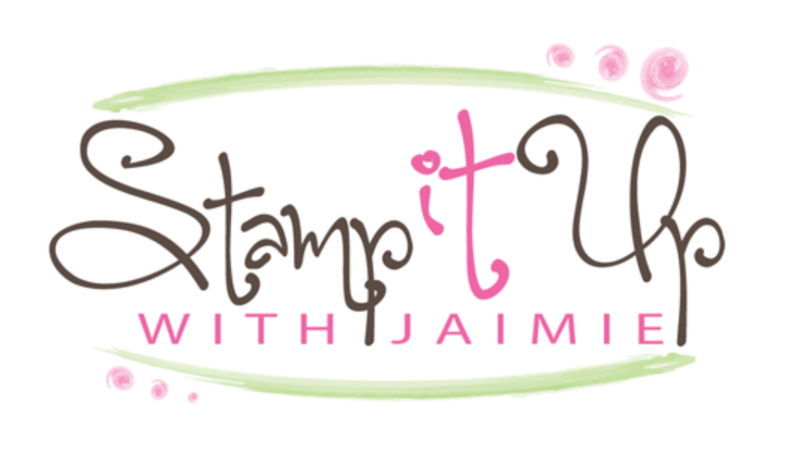 I used the awesome Stampin’ Up! Blended Seasons stamp set bundle and the Watercolor Pencils Assortment 2 to create one last card to share with you today for the Fab Friday Sketch Challenge this week. This bundle and those pretty pencils are going away at the end of the day today and we know that the stamp and die set will not be available again and we’ve only been told that the pencils may be in a future publication. So if you want these fantastic items, get them today before they’re gone! Here is the sketch for Fab Friday 145. Be sure to stop by the challenge blog to play along too! I started by adhering a panel from the Nature’s Poem DSP to a Soft Suede card base with Multipurpose Liquid Glue. Then I stamped the leaf image from the Blended Seasons stamp set twice in VersaMark Ink on a panel of watercolor paper, sprinkled the images with Copper Stampin’ Emboss Powder and heat embossed them. I colored the leaf images with the Cherry Cobbler, Cajun Craze, Daffodil Delight, Pumpkin Pie and Crushed Curry Watercolor Pencils and then used a Aqua Painter to blend the colors. I did a watercolor wash over the background of the panel with an Aqua Painter and Balmy Blue ink and then I set the panel aside to dry completely. While the larger panel was drying, I stamped the sentiment from the Beautiful Bouquet photopolymer stamp set in VersaMark Ink on a small panel of watercolor paper and heat embossed it with Copper Stampin’ Emboss Powder. I punched the end of the panel with the Banner Triple Punch. I cut two leaves from watercolor paper with the Stitched Seasons Framelits dies and I sponged Cherry Cobbler, Pumpkin Pie, Soft Suede and Cajun Craze inks with Sponge Daubers over the die cuts. 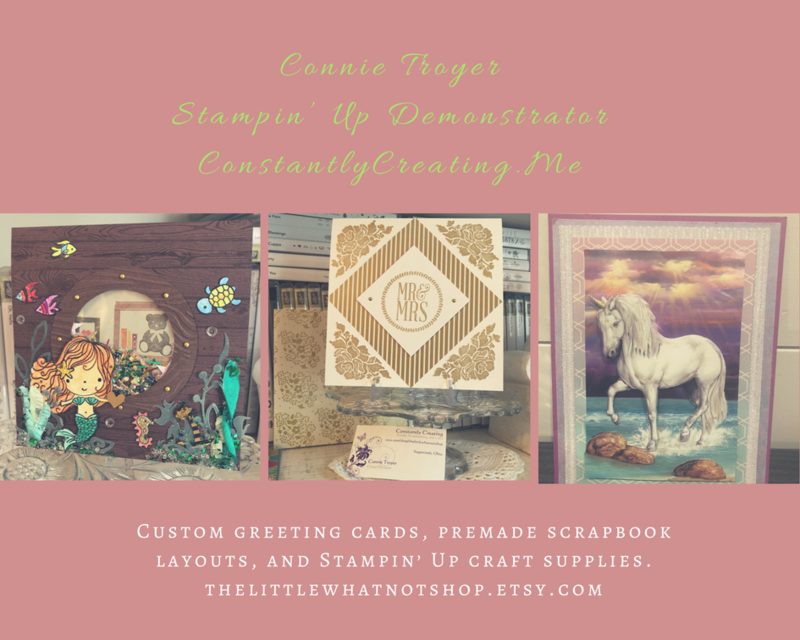 I adhered strips of Copper Foil Sheets to the edges of the larger watercolor paper panel and then adhered the panel to the card front with Multipurpose Liquid Glue. I adhered the sentiment banner with Stampin’ Dimensionals and then added the leaves with touches of Multipurpose Liquid Glue. I added three Frosted & Clear Epoxy Droplets (available Sept 5) across the card front to finish it. I stamped the leaf image from the Blended Seasons stamp set in Soft Suede ink and the sentiment from the Climbing Orchid photopolymer stamp set in Cherry Cobbler ink on a Whisper White card stock panel inside the card. I did a video on Facebook showing you how I did the watercoloring on the leaves for this card. The “Amy K” method for watercoloring the leaves on this card only takes a few minutes! If you miss the live, you can check out the replay any time on my Facebook page or on my YouTube Channel. Blended Seasons Bundle & Watercolor Pencils Ending Today!! This entry was posted in Anniversary and tagged anniversary card, Beautiful Bouquet, Blended Seasons, CAS card, Climbing Orchid. Bookmark the permalink. My favorite images from this set are these gorgeous leaves! Pretty! Lovely fall card. Hate to see this set go away. You make it look so easy. I would recommend a good pencil sharpener. The cheap school ones can be a real pain. Might even consider one with 2 holes for different points. Really pointed isn’t always what you want.